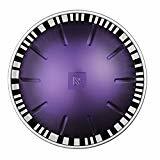 Getting a Nespresso coffee maker is an exciting moment, but then the sheer number of capsules to choose from may take over and have you wondering which of their selection are the best Nespresso capsules for lattes. How do I make a cafe-quality latte at home? 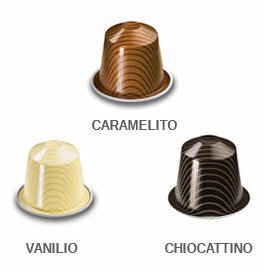 The easiest way to choose the best Nespresso capsules for lattes is to just check the descriptions. Anything that suggests that what’s inside will yield bold, rich, or intense flavor will most likely do well in a latte because that type of flavor will stand up to the flavors and creaminess of the milk (crema) and the specific hot water brewing extraction method. It will also work side by side with any additional flavors you want to add to create a delicious latte, rather than letting the flavors overpower it. In those cases, the coffee flavor will seem weak and your latte’s flavor may leave a bit to be desired. By contrast, you’ll usually (but not always) want to stay away from anything that says the flavor profile is delicate or light. Those are best enjoyed alone, or in the very least, with less milk than a latte calls for. 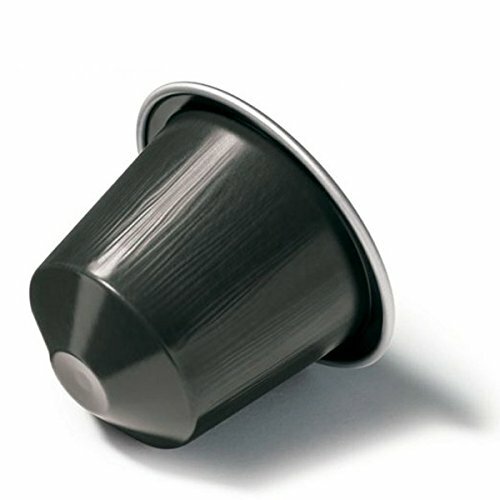 Skip the ones designed specifically for the Lungo cup size, as well. 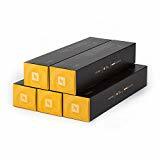 These are meant to be enjoyed in a different manner, each capsule stretched to create more ounces of coffee than the espresso or ristretto pods. Trying to then make a Lungo into a latte would dilute the flavor; it would already be less intense and adding enough milk to it for a latte would lead to a disappointing cup. You don’t have to have all of those in a single description (in fact, you probably won’t), but the presence of one or two of them is a good sign that you’re headed in the right direction. Feel free to stray outside of what’s marked as espresso only, however. Some of the bolder, stronger coffees can stand up to the milk in a latte, too. First of all, you need to choose which flavor profile do you prefer. It can have a fruity taste, a creamy texture, or a blend of roasted and cereal notes, or even go for a woody flavor. And definitely a good coffee maker. If you want to get that frothy milk, characteristic of the latte, you will need a machine. 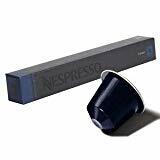 The Nespresso capsule system will guaranty you a perfect creamy coffee brewing. With just the touch of a button, a good pod, and some milk and water, you can get a high-quality coffee taste. Of course, it can be an investment but it will worth it to have your own coffee shop at home, with your favorite perfect coffee brewing. You can always feel free to play around. What makes a delicious latte for one may be just a mediocre choice for someone else. Here are 12 options to start your latte exploration, though. See which ones sound the most intriguing to you and get started with your experiments. This is strong, slightly bitter coffee in a full-bodied Italian roast and part of Nespresso’s Espresso line (Originalline). There are chocolate and fruity notes along with some acidity. The beans in this blend come from a variety of places: South American (Colombia and Brazil) as well as East Africa. The contrast between the two regions’ coffees allow it to feel rich and heavy while at the same time having a brightness to it. 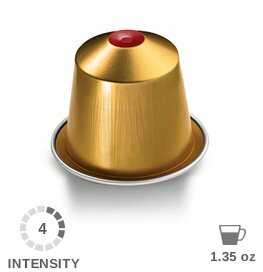 It ranks as a 10 on the Nespresso intensity level scale. 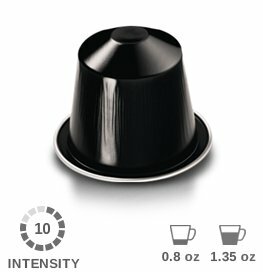 Arpeggio is only slightly less intense than Ristretto, ranking at a nine. This one (from the Originalline) is considered to be “rich and creamy” and it’s a blend of South and Central American coffees that particularly plays up the flavor profile Costa Rica is known for. There’s a smokiness to it that plays well with cocoa notes and adds a perfect flavor depth to lattes beverages. 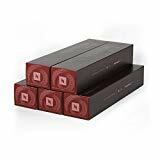 The creamy Diavolitto option is an espresso shot pick from the Vertuoline and a combination of Robusta beans from Central and South America and Arabica beans from Brazil. This is a deep, dark coffee with a richness and bitterness that can cut through the milk of a latte and still taste like a perfect coffee drink. The aroma is all about oak and leather, rather than the sweetness or fruit you’ll find in some blends. This one gets an 11 on the intensity scale. With the Altissio, we’re back into a slightly lower intensity level. This one comes in at a nine. It has a full body that will help create a decadent latte, and it’s part of the Vertuoline. This is another option that features a malty coffee flavor Costa Rica is known for, plus South American Arabicas. If you want to go all-out at the intensity level, this 12 from the Originalline should do it. This is a blend of two Robusta beans from Brazil and Guatemala that is ready to knock you off your feet. You may find that you always want to pair this one with several ounces of steamed milk. It has a bitter flavor profile, peppery, and syrupy in a way that Brazilian coffee beans are known for. This selection has been so fine-tuned between the bitterness and natural sweetness in the roasting processes for both types of beans, this one should go on your must-try list. If you love flavored lattes, you’ll want to try this one. The Vanilio (the Variations line from the Originalline collection) is one of the less intense ones on the list (intensity level: 6), but it’s worth mentioning because of its subtle perfect vanilla flavor and ability to take your next latte drink up a notch. If you’re hooked on vanilla lattes with syrup, this might be a good substitute sometimes (especially if you’re trying to cut back on sugar). The Stormio from the Vertuoline rates at in the intensity level as an 8, and contains a blend of Nicaraguan and Guatemalan beans that offer “spicy, woody, and cereal notes.” You’ll still get a strong perfect coffee flavor profile from this one even after you add the hot milk. You’ll merely take the edge off of this one’s power and strength. 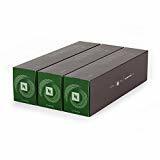 If you don’t consume caffeine at all or nothing sounds better than an after-dinner latte when you can’t stay up all night, your drink will benefit from the Decaffeinato Intenso, a seven on the intensity scale within the Vertuoline offerings. It will still have a bold, almost syrupy taste and depth since it’s made from Colombian and Brazilian beans combined with Asian Robusta beans. You’ll get fruity notes and cocoa that play well with creamy hot milk taste. A middle-ground option from the intensity scale (a seven), Odacio is a Vertuoline capsule featuring a blend of beans from Central America (Nicaragua) and East Africa (Ethiopia). Adding hot milk to it will play up its sweetness, but on its own, the Odacio blend has fruity and cereal notes. Even though it’s listed as a bold coffee, there’s a lightness to it that comes from the Ethiopian beans. In this case, the description calls it “light,” but it’s still one of Nespresso’s coffee maker options within the Espresso line and should still pair well with creamy milk. If you do like a lighter, almost buttery or biscuit-like flavor to your espresso, this may be the one for you. A biscuit-like flavor profile comes from Brazilian Arabica beans, while Colombian coffee adds fruity notes. This is part of the Originalline Espresso selection. 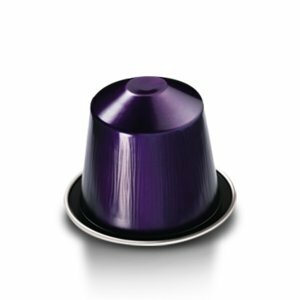 The Voltesso capsule is the Vertuoline’s solution to a need for a lighter, biscuity flavor profile. This one comes from Brazil and Colombia to create a smooth, well-rounded coffee flavor. This one’s good on its own or with steamed milk, though it may not be intense enough for people who love a strong coffee flavor (versus a milkier taste) to their lattes (the intensity level is four). Roma is another option that’s perfectly suited to a latte. 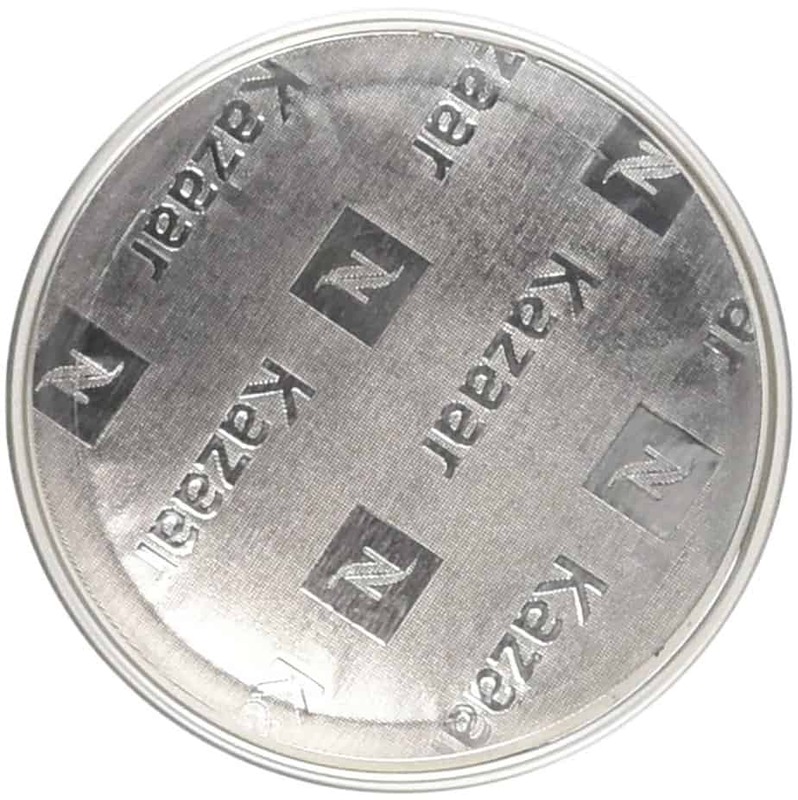 The strong coffee flavor can withstand the milk and the roasted notes create depth. The Roma option is made from Central American Arabicas and Brazilian Arabicas and Robusta beans. If you like a balanced coffee, with or without steamed milk, this may be the one for you. If no one or two stand out to you as something you feel like you could commit to over the course of several lattes (since you usually need to purchase at least 10 of the same kind), look for variety packs that have several different options to try. You may not use them all in lattes, but you will at least get to explore the flavor profiles of a variety of coffee beans, which will allow you to narrow down your favorite types of blends, intensities, and even bean origin for your ideal latte drink. The boldest of the bold pods may not be your first choice; instead, you may prefer a brighter, buttery flavor. 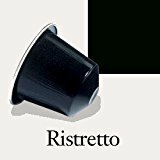 One of the variety packs on the Nespresso website even comes with a box of dark chocolates, espresso cups, and saucers. Trying to nail down your perfect morning or afternoon (or even after-dinner) latte may seem like an urgent task. Be sure you take the time to slow down, savor the flavors of the different coffee blends, and turn the pursuit of the perfect latte into an experience. Looking for a new Nespresso machine soon? 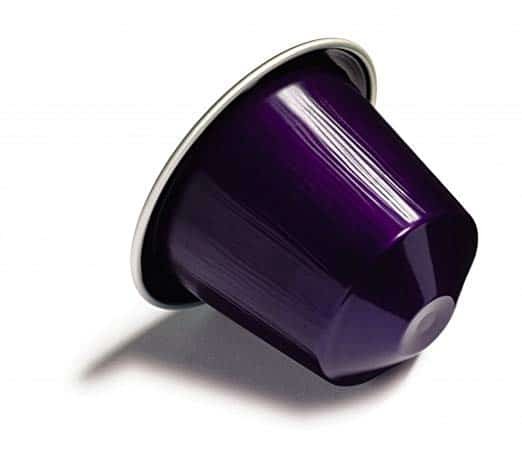 Check out this round-up of the best Nespresso machines for latte lovers this year.